"Why have they been so hated for 3000 years that there has been pogrom after pogrom in country after country?" 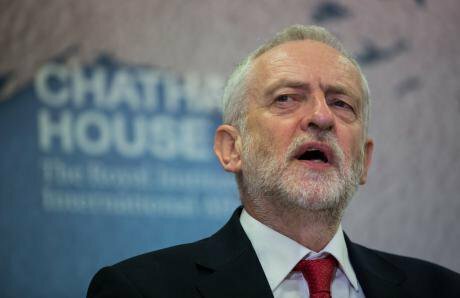 There is currently an unprecedented consensus within the Jewish community in Britain that there is a serious problem of antisemitism in the Labour party and that Labour’s stubborn replacement of the IHRA definition with a home-made version is symbolic of that problem. The consensus reaches across the four main religious communities, Liberal, Reform, Masorti and Orthodox; the Jewish Leadership Council and the Board of Deputies, the Community Security Trust and the Union of Jewish Students; Jewish journalists like Hadley Freeman, Jonathan Freedland, David Aaronovitch, Nick Cohen and Daniel Finkelstein; Jewish scholars of antisemitism like David Seymour, Robert Fine, Philip Spencer, Anthony Julius, Simon Schama, Eve Garrard, Lesley Klaff; the three major Jewish newspapers speak with a single voice; Jewish Labour MPs such as Ruth Smeeth, Luciana Berger, Margaret Hodge, Ian Austen, Louise Ellman are in agreement. The voters of Barnet have twice told the party what they think in clear and unambiguous terms. How did Judge Macpherson help us to make sense of this kind of situation? He did not say that if somebody says they experience racism it must be true; neither did he say that victims of racism have the right to define their own oppression. But he did say that victims of racism should be taken seriously. There should be an initial presumption that their view is right.There is also a small but noisy group of antizionist Jews, who mobilize their Jewish identities politically in the hope of amplifying their voices, who speak ‘asaJew’, who say they do not experience antisemitism and who are not able to sniff it around them. This is not a case of two Jews, three opinions, but of a united community and a tiny oppositional faction. Sometimes Jews are accused of being ‘hysterical’, as the President of the Board of Deputies was by a veteran Jewish socialist in a recent radio debate; there is a long antisemitic tradition of the misogynistic ridiculing of Jews; we are accused of being shrill or paranoid. The standard response to Jews is that they know that their claims of having experienced antisemitism are false, and they persist in making them anyway for selfish tribal reasons. It is a nasty little trick to silence the voice of the Palestinians and to smear their great supporter Jeremy Corbyn. The debate about antisemitism, in this view, is just an underhand way of trying to win the Israel-Palestine debate. Young people on today’s left are being educated to recognise those who raise the issue of antisemitism as being more hostile to progressive politics than those who themselves slip into antisemitism. In this way, left wing and democratic Jews are being excluded from their political community and are being made politically homeless. Antisemites have always positioned themselves as victims of the Jews; Corbyn is positioned as the victim of Margaret Hodge and Ian Austen, who are disciplined as though they are aggressors, for speaking out against antisemitism. Jeremy Corbyn responds by repeating, in general terms, his opposition to antisemitism. But what he is not able to do is to demonstrate that he understands what contemporary left wing antisemitism is. In particular he is not able to make the link between his own politics of trenchant and often irrationally overblown hostility to Israel, and the appearance of those examples of antisemitism amongst his supporters which everybody can recognise as antisemitic. This debate makes no sense if we do not talk about Corbyn’s own record of siding with antisemites, of offering political support to antisemites and of making alliances with antisemites; of considering some kinds of antisemites to be part of the global struggle against oppression. Whatever the ‘true’ aggressor is named, be it capitalism, imperialism or modernity, it is considered responsible for war, poverty, famine and alienation; and anybody who opposes it, even if they are antisemitic, are considered to be on the progressive side. And then Israel is positioned as being a key element to that global structure of violence and oppression. And the democratic states are positioned as global exploiters and aggressors.